Perhaps retailers should be held accountable for taking demonstrable steps towards theft prevention. As a loss prevention professional, it is likely that you have responsibility for detecting, investigating, and resolving internal-theft cases. Doing so may support your organization’s zero-tolerance policy toward internal theft. Many top retailers rely on their loss prevention departments to give them a competitive advantage by controlling their operational costs through reducing shrinkage and/or accident claims. Some of these retailers have made loss prevention executives officers of the company. 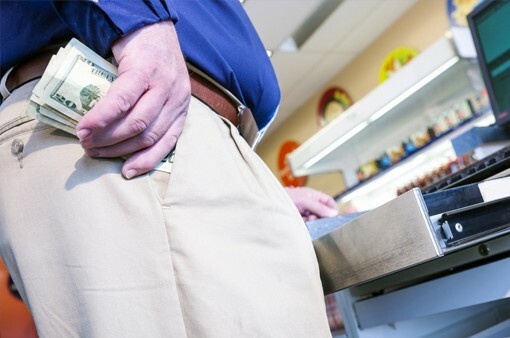 While most retailers have proactive loss prevention programs, a few view theft as a cost of business. These retailers may or may not have resources dedicated to detecting and referring dishonest employees to prosecution. However, it is the absence of a proactive loss prevention program that is the most concerning. Many times, these retailers have relaxed merchandise and cash controls, which can provide opportunity to an employee who, in different circumstances, would not steal. In some cases, the retailer may employ investigators to do nothing but identify internal-theft cases. All too often, these retailers do not dedicate any resources to workplace theft prevention. If your child worked at a retailer, would you want operational controls and awareness in place to prevent them from making a life-changing mistake? Even if you don’t have children, it is generally agreed upon that we have a moral obligation to take some measures to prevent these incidents. Such mistakes can follow a person throughout his life. A criminal record can eliminate career options, which reduces future salaries. If a criminal record affected the salary of a young person by an average of $10,000 annually, this would add up to $300,000 in lost salary over 30 years. Additionally, the future value of court penalties, fees, and restitution could have a significant impact on retirement. Spending just $10,000 of retirement savings today may result in a loss of nearly $50,000 by retirement because of compounding interest. These life-changing consequences are daunting. It’s easy to see how someone caught up in the ramifications of a theft incident could lose ambition and become depressed. In some cases, the person may contemplate hurting themselves or someone else. Statistics on depression and suicide rates are not available for theft cases. However, there is anecdotal evidence to suggest that there are people who have been impacted in this way. This is a heartbreaking account of life-changing effects of theft. Going from a computer science career to working at a fast-food restaurant is a dramatic change. Fortunately, the response from the online community was positive and encouraging. However, we don’t know what occurred since, as the account is no longer actively posting. Hopefully, the person now has a job and is happy. If retailers take no preventative measures, they should understand the impact. In addition to the moral obligation to prevent theft, there is also a societal cost in referring cases to prosecution. If the theft could be prevented, the case is an unnecessary burden on the criminal justice system. Since the criminal justice system is funded by taxpayers, everyone contributes to this retailer’s lack of controls. Not only has this retailer chosen to absorb theft as a cost of doing business, it has chosen to pass some of those costs to taxpayers. Additionally, the criminal court system is frequently used to recover damages, therefore becoming the retailer’s taxpayer-funded recovery service. Additionally, if the event has life-changing financial implications, the employee could become reliant on government assistance, such as welfare and food stamps. Absent a proactive loss prevention program, some retailers may be adding to the growing number of people relying on government assistance programs. Since these programs are funded by taxpayers, it could be another example of society picking up the tab for retailers that refuse to implement controls in their business. As an example, if a lawn service mistakenly mows the wrong lawn, and the homeowner knew of the mistake and allowed it to occur, the lawn service could collect damages. However, if the same mistake was made a week later by the same lawn service, the court may assume that the lawn service did not have clean hands. This doctrine is applicable to the civil recovery aspect of the theft incident. Since the retailer made a decision not to include operational controls in its business, it may not have clean hands. This may be especially true if the retailer had similar theft incidents in the past. In this case, the retailer may have foreseeability into future theft incidents. If the retailer is found not to have clean hands, it may be unable to collect civil restitution. If this was ever determined to be the case, it could make a proactive loss prevention program a prerequisite to collecting restitution. Preventative operational controls require conscious effort to organize a premeditated plan to steal and avoid detection. Absent these controls, an employee could easily steal on impulse without thinking the action through. Alternatively, manipulating records or systems (controls) would clearly demonstrate that the employee understood exactly what he was doing. While stealing is a crime regardless of what conscious thought led to the incident, thought may determine how serious the crime is. For example, numerous crimes vary in severity by the effort needed to perform the crime. Loss prevention departments are familiar with some of them. A shoplifter using a tool to remove security tags from merchandise before leaving the store is charged with burglary instead of shoplifting in some jurisdictions. The EAS tags represent a control put in place to prevent theft, which this person took additional effort to defeat. Another example is ORC legislation, which carries tougher penalties for the act of shoplifting. One could argue that operational controls could be considered in the same manner. Like the EAS tag example, a broken control point may demonstrate that the employee clearly understood what he was doing. We can all agree that eliminating unnecessary theft incidents is a good thing. Only a sadist could enjoy the thought of someone facing criminal prosecution, not to mention the lifelong financial penalties this person may face. There is also a real possibility of depression and hopelessness for the affected person. Even if you didn’t have an ounce of sympathy for a person stealing from an employer, it is doubtful that you would agree to finance an unnecessary prosecution with your tax dollars. If you add the possibility that this person could become part of government assistance programs, a needless prosecution could become expensive for taxpayers. In order to encourage retailers to prevent theft in their operations, courts may remove the ability to recover civil damages if retailers cannot demonstrate a preventative control for behavior. This could create ROI opportunities for proactive loss prevention programs. Additionally, courts could reduce penalties for theft incidents in which a control was not in place, and increase penalties for employees who make the decision to steal in spite of controls. Some may argue that this should be a difference of a misdemeanor and a felony. If we are to believe that increased penalties prevent theft, this would further reduce internal-theft instances. Furthermore, this could be another ROI opportunity for proactive loss prevention programs. Taking these steps would hold retailers accountable for preventing theft by not allowing them to use the criminal justice system as their recovery service. Additionally, stiffer penalties for stealing from a proactive retailer could enhance theft prevention. This may create an increased demand for loss prevention talent, as retailers look to add proactive loss prevention programs to their operations. It may also add to the value that retailers with proactive loss prevention departments already bring. This article was originally published in 2014 and was updated March 19, 2019.